John, I just came down from my neighbor and friend Sid Bernstein's apt. (Sid brought the Beatles to the US. 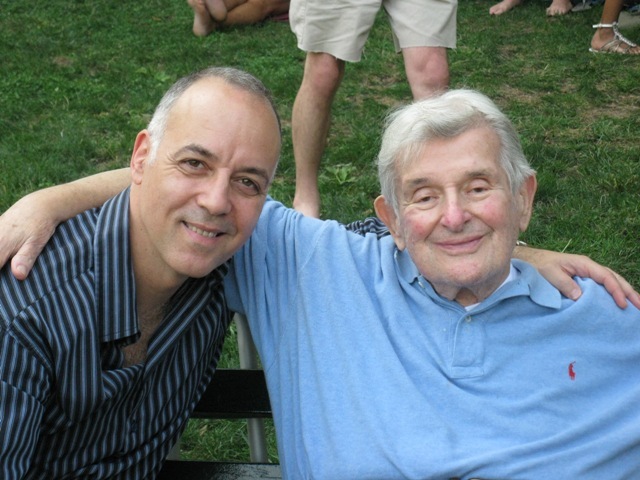 I'm sure you know who he is… if not, google Sid Bernstein!!) I told him about you... told him you played in one of the best Beatles bands in Canada. He asked if it was REPLAY. I didn't remember at the time, but now see it was the right band… so he knows who you are!! He is a fan of your band and said great things about you guys!! Look forward to dinner in Salt Lake City. Well, as you can imagine, getting that e-mail was quite a surprise for me. And it gets even better. Sid then sent me a personally autographed copy of his book "It's Sid Bernstein Calling" and called me from NY with a very touching message. My wife Liz and I devoured the book immediately. What a story! Since then we have had the privilege to become friends with him and his wife Gerry and meet some of his children. 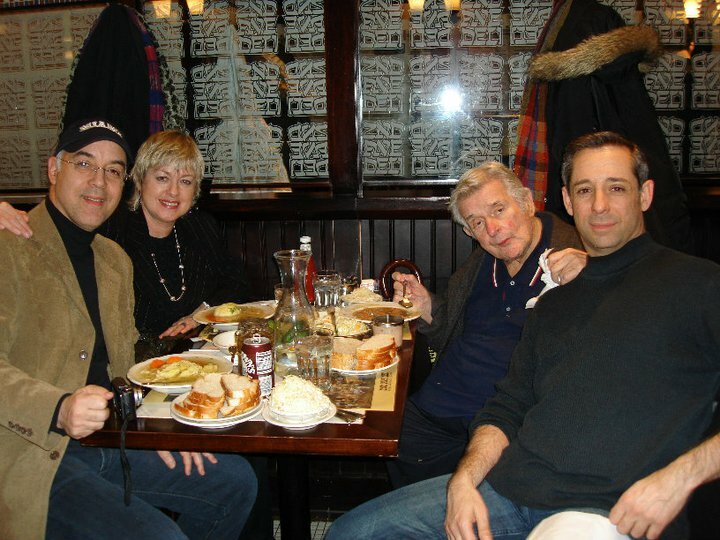 In January 2011 we went to New York and visited with them at his NY apartment, and took him to see a show at Carnegie Hall (where he originally booked The Beatles first concert). We were mobbed by loving fans and people who respected and adored him. 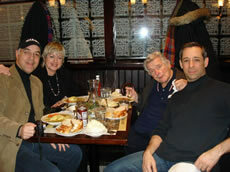 Then after the show at 11pm he wanted to go out for a "nosh" at his favorite deli – the 2nd Avenue Deli. This summer in August 2011, we went back again to spend some time with Sid and had a lovely time. He is a true gentleman, and one of the nicest, sweetest and kindest people on this planet. He is also so funny and charming, and I am honored to be his friend. See photos attached. 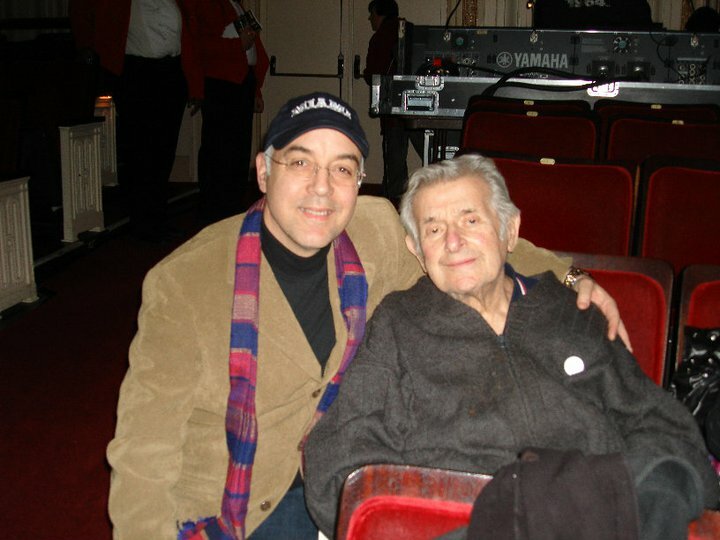 Being a Beatles fan, meeting Sid Bernstein has been the thrill and honor of my life. Next…. I want to meet Sir Paul.